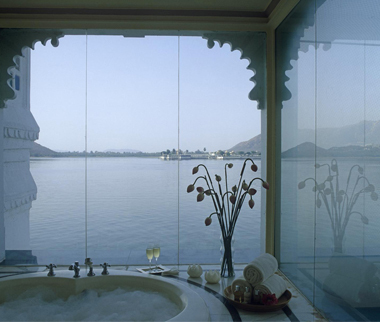 The swimming pool at Taj Lake Palace. 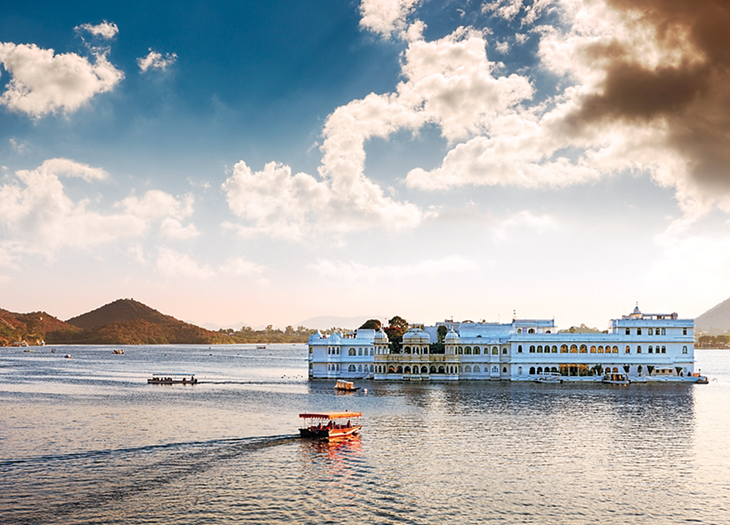 Edging seductive Udaipur – India’s “White City,” so named for its profusion of milky palaces, many of them set like gems on tiny islands – Pichola’s shores harbor Hindu temples and age-old homes. Located in the state of Rajasthan (literally, “Land of the Kings”), this seductive locale draws celebrities and the Indian elite, especially for weddings, which tend to be extravagant, action-packed, multiday parties. Expect to see painted elephants, fireworks, decorated boats, Bollywood stars, life-size puppets, turbans galore, and abundant jewel-hued saris. With labyrinthine lanes, Rajput architecture, and watery canals, this “Venice of the East” evokes the finery and ritual of India’s bygone ruling class. 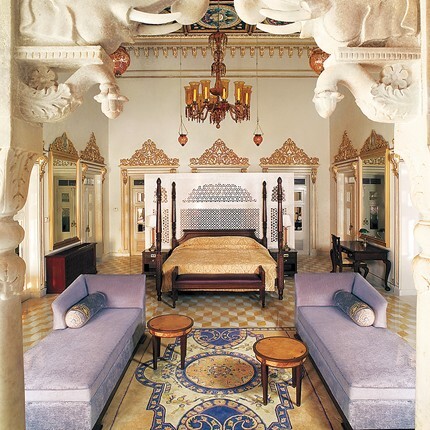 Visit Udaipur’s premier site, City Palace, to ogle its famous miniature paintings. An array of stores sell locally made handicrafts and clothing. Score pashmina shawls at Andraab. 170A New Fatehpura. Brahma Arts & Textiles is best for paintings and antiques. 31 Lake Palace Road.